From its origins to its colonization ; from the first inhabitants to the slow creation of a colonial empire. 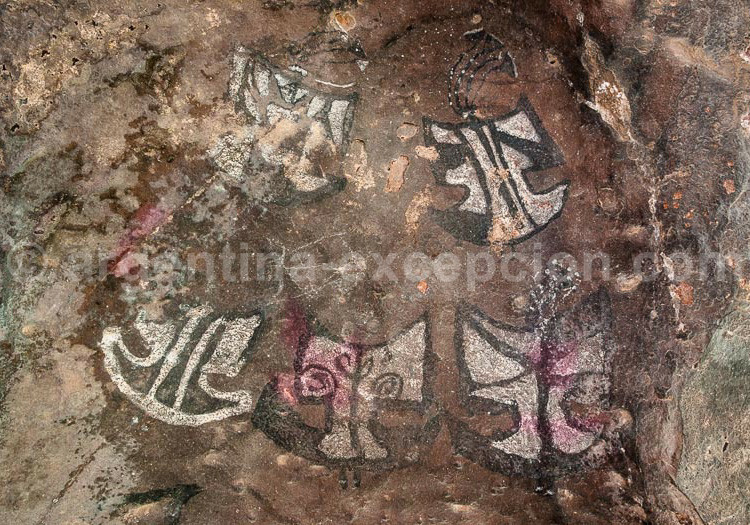 The most ancient traces of human presence in Argentine territory go back to the 11th century BC and are in the region of Santa Cruz. They show a probable arrival of the first men at the Southern Chilean Patagonia. The beginning of the population of La Pampa dates back to the 9th century BC and of the Northeastern region to the 7th century BC. 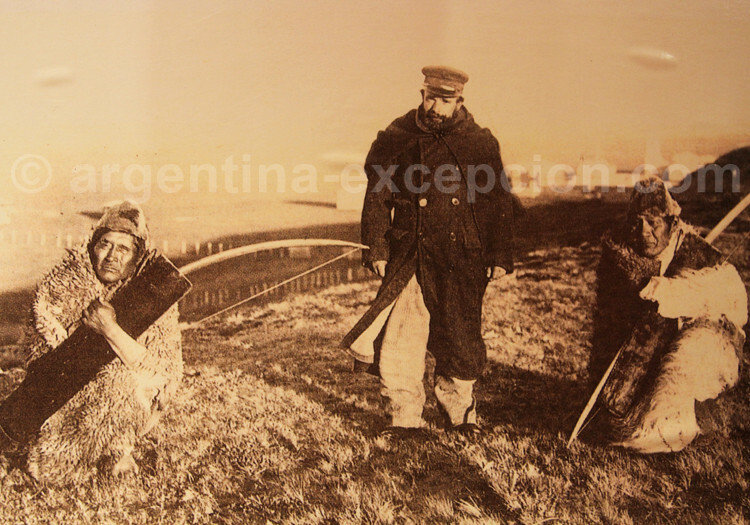 There are two big groups well-distinguished among the Argentine aboriginal populations: hunters-harvesters in Patagonia, Pampa and Chaco, and farmers in the Northwestern Region, Cuyo, Córdoba Sierras and Mesopotamia. The former were nomad and the latter were sedentary. Among the American-Indian populations from the pampa region and Patagonia, the best known were the Hets (or Pampas), the Tehuelches (or Patagones) and the Mapuches (or Araucanos); and in Tierra del Fuego, the Selknams. In the Argentine Northwestern region there were several tribes living together whose territories were annexed by the Incas in the 16th century. On the contrary, in the other Andean regions, the Lule-Toconotés, the Sanavirones and the Comechingones remained independent for much longer. Europeans discovered the current coasts of Argentina searching for a passage to the Pacific Ocean. Américo Vespucio was the first European to arrive near the Argentine coasts in 1502. Díaz de Solís reached the Río de la Plata in 1515 and Magellan approached the Patagonian coast in 1520, just before going through the strait that took his name. In 1617, Felipe III from Spain divided the lands at the Southern American region in two different governments: Paraguay and Río de la Plata. The Spanish presence was reduced for a long time: it was more evident along the Camino Real that allowed transporting mineral wealth from current Bolivia towards Río de la Plata. It was there where Pedro de Mendoza founded the colony of Buenos Aires in 1536. It was abandoned after the Didiuhet aboriginal attacks and rebuilt in 1580 by Juan de Garay’s initiative. In the meantime, Córdoba, Salta, and San Salvador de Jujuy were born one after the other one. 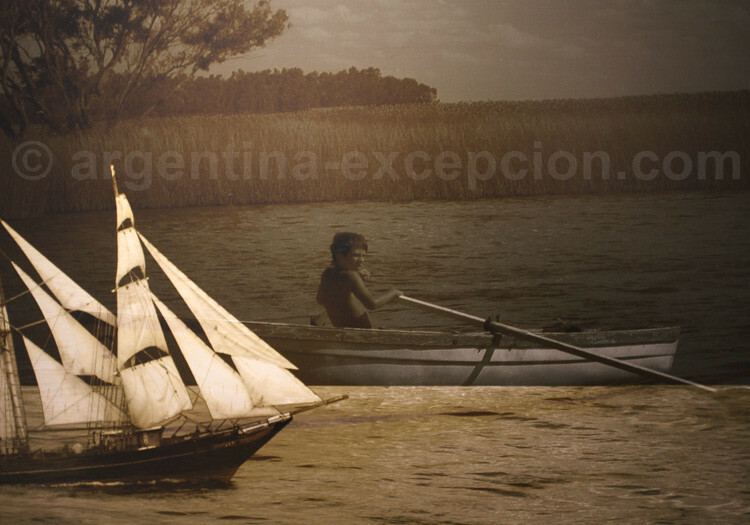 The same happened along the Paraná with Sancti Spíritu, Asunción, Santa Fe and Corrientes. The pacific character of the Huarpes aborigines made it easier for the Spaniards to quickly conquer the Cuyo region, and they are supposed to be the responsible for the foundation of the city of Mendoza. 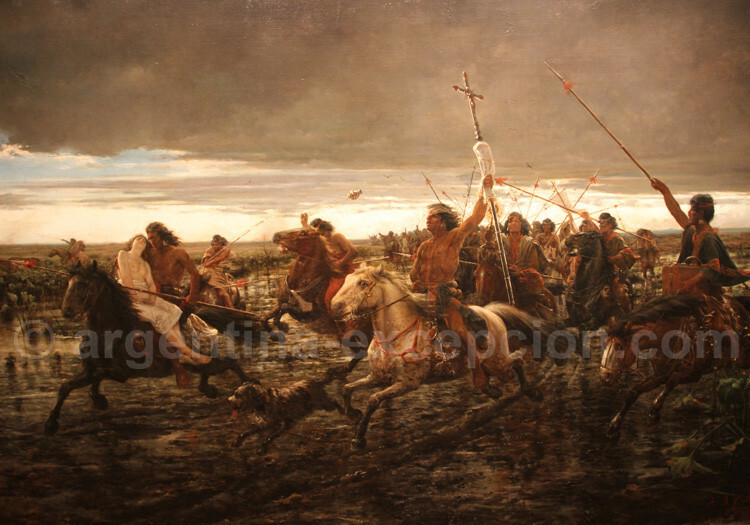 The Spaniards, in turn, faced great difficulties in the valles calchaquíes, specially between 1630 and 1665, when the Quilmes were defeated and deported to the current city of Quilmes, in the suburbs of Buenos Aires. 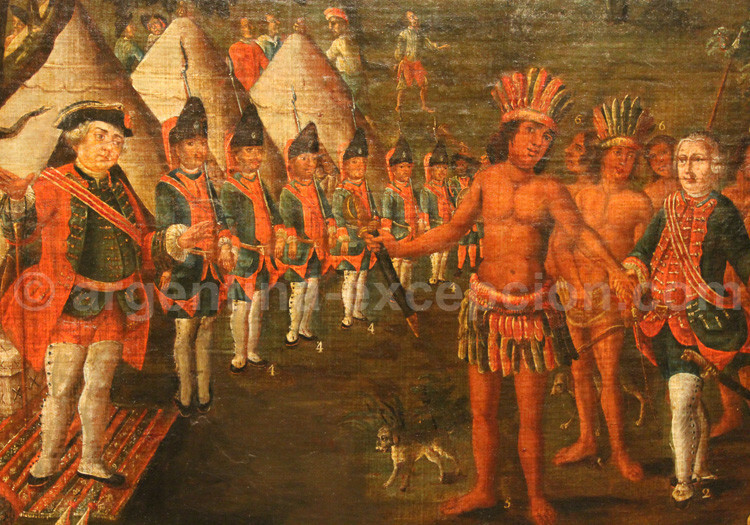 As from 1585, Spain asked the Jesuits to solve the conflicts with the Guaraníes Aborigines. The Jesuits agreed with the King to pay a proportional tax on behalf of the aborigines that were under their control. The Guaraníes chiefs, who knew about the serious difficulties related to the Spanish-Portuguese rivalry, accepted to join the Jesuits. That is how the fast and notorious development of the missions can be explained. During the 17th and 18th century, the Mapuches little by little took over the aboriginal populations from La Pampa and Patagonia. However, the Spaniards were slowly making progress from the East of their territory. Some aborigines started to work in the big Spanish estancias. And the mixture of races between Indians and Europeans started to develop to give birth to the gauchos. Upon the difficulties that this American colonial empire faced, Spain settled down the Río de La Plata Vice-Royalty in 1776. Although the territory went past the borders of the current country, the vice-royalty was the predecessor of Argentina.